Just because you’re on vacation doesn’t mean your coffee craving stops! Luckily for you, there are tons of Big Bear coffee shops to give you your caffeine fix. Whether you’re looking for a coffee to-go or somewhere to sit down and relax, we know the best places for you to do so. Try out some of these cafes during your vacation at Big Bear Lakefront Cabins! We love the Big Bear Coffee Roasting Company because it’s truly a local establishment. The owner takes amazing care of his business and does all the roasting of the beans in-house. Choose to try their freshly brewed coffee, then choose your favorite roast and pick up a bag of beans to bring home! The Copper Q in Big Bear Lake, CA has it all! They are a unique combination of a coffee shop, an eatery, and food retailer. Here, you can grab a coffee to go, sit down and enjoy it with a pastry, or even order a whole lunch. If you have time, you can shop around for a unique souvenir or gift for someone back home. Moonridge Coffee Company is the perfect place to get breakfast to pair with your coffee. This rustic cafe fits perfectly in Big Bear. Enjoy quaint latte art as you sip from the large mugs. We recommend trying some of their baked goods like an apple tart! Alpine Country Coffee Shop in Big Bear Lake, CA, serves both breakfast and dinner as well as delicious coffee. This mom and pop shop serves large portions, so make sure you go hungry! Tea & Coffee Exchange in Big Bear Lake, CA is the perfect place to go if you’re looking for something unique. They offer a plethora of choices for loose-leaf teas as well as coffee. Try out their teas, then order some to take home! 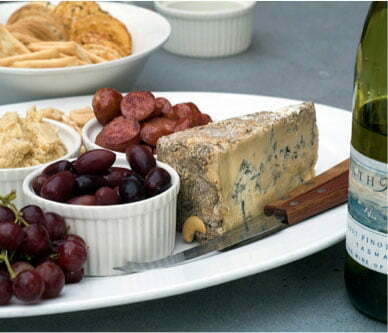 They have many hard to find varieties that are sure to delight your taste buds. 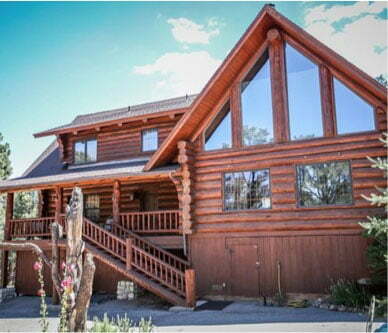 We invite you to come stay at Big Bear Lakefront Cabins! 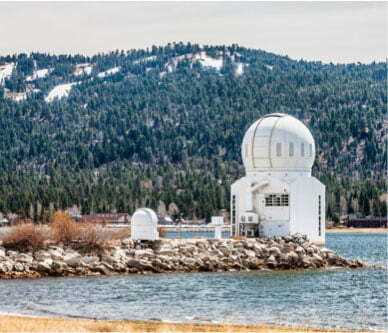 The best part about our properties is that you can choose locations all over Big Bear. 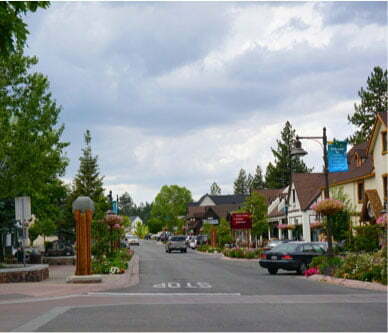 If you want to be close to the charming Big Bear coffee shops in town, we have cabins just moments away. Indulge in the calming nature the area offers with a lake view cabin, or choose a property right on the water. Book your stay, then start planning!